This video was created in the 2016-17 School year because of the generous support by the Montana Army National Guard. The video is about Leadership, Mentorship and Sportsmanship. Click on the above link to download the video. 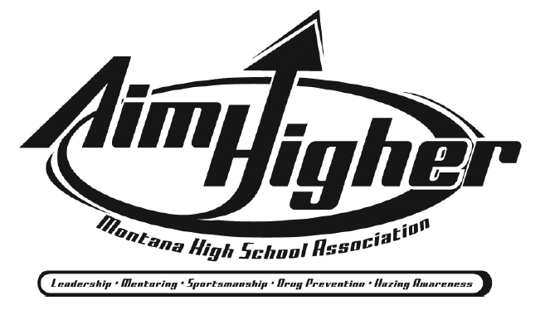 The Aim Higher program began in 1989 as a tobacco, alcohol and other drug prevention program and citizenship program for Montana high school students. The program has evolved over the years, and much of the focus for workshops now concentrates on leadership, mentoring, making correct choices and sportsmanship.